The incredible Jet Jurgensmeyer truly defines what it is like to be multi-talented! He’s a brilliant actor, a terrific singer and a fantastic role model to all of his fans. At such a young age, Jet Jurgensmeyer has already accomplished well beyond his years. He has starred in a countless amount of fan-favorite, highly-acclaimed projects including in Nickelodeon’s hit movie, Legends of the Hidden Temple, Disney Channel’s Adventures in Babysitting, as well as other projects such as Bubble Guppies, Shimmer and Shine, Black-ish, and he even voices the role of Stinky Peterson in the much-anticipated movie, Hey Arnold! The Jungle Movie. In every project that he works on, Jet Jurgensmeyer always leaves us all in awe with his indescribable talent and his effortless way of capturing all of his characters so magnificently. In fact, just recently, Jet Jurgensmeyer made a special appearance on Will & Grace and once again, he mesmerized us all with his outstanding, acting gift and wonderful appearance. In addition to acting, Jet Jurgensmeyer also enjoys focusing his time on music. He just cut his very first song and we know that it will be absolutely extraordinary and something that we all will be listening to on constant repeat. Jet Jurgensmeyer is truly remarkable and with all of his hard work, his dedication and his passion for his craft, he definitely deserves all of his successes and the many more coming. I, Alexisjoyvipaccess had a fantastic time covering Starlight’s Dream Halloween event and had a great time catching up with and interviewing the phenomenal Jet Jurgensmeyer again at the event. Jet Jurgensmeyer dished exclusively to Alexisjoyvipaccess all about what it was like for him appearing on Will & Grace, what it was like for him working on his very first song, what he is going to be for Halloween, and so much more only in our VIPAccessEXCLUSIVE updated interview. 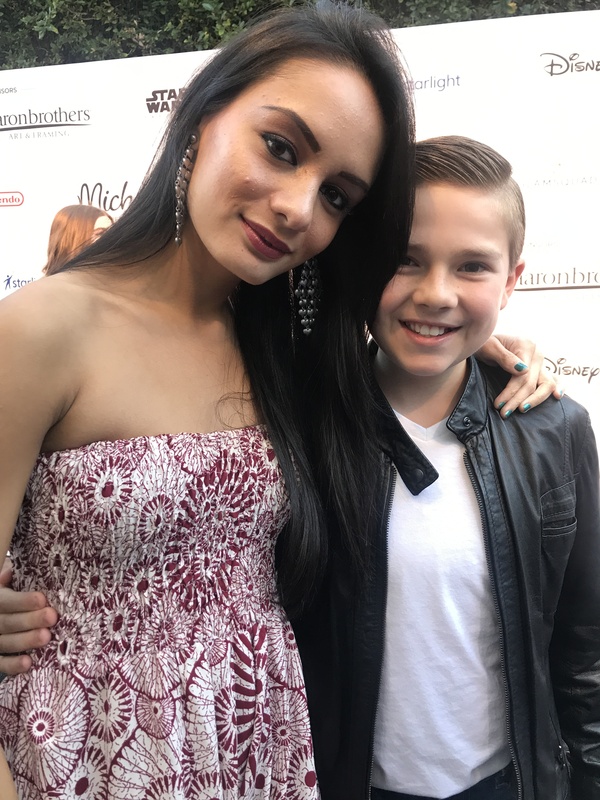 Jet Jurgensmeyer even took on a fun “Trick or Treat” speed round and revealed whether he would trick or treat the cast of Will & Grace, his Legends of the Hidden Temple co-star, Isabela Moner and more – hear what he had to say in our VIPAccessEXCLUSIVE updated interview below. Thanks for another fun interview, Jet! Check out my VIPAccessEXCLUSIVE updated interview with the exceptional Jet Jurgensmeyer at Starlight’s Dream Halloween event below! Previous VIPAccessEXCLUSIVE: Celebrities Got Their Spook On Decked Out In Their Greatest Halloween Costumes At Starlight’s Dream Halloween Event! Next VIPAccessEXCLUSIVE: Temecula Road Interview With Alexisjoyvipaccess At The Starlight Dream Halloween Event!